While the winter months may try to slow it down, time seems to speed up from now until the end of the school year. Keeping high school students engaged, particularly when graduation and myriad post-graduation opportunities await them, can be challenging. Here are three simple steps to ensure students stay focused through June. The key to keeping students engaged is helping them make powerful connections to the content. "When students see how something relates to their lives, not only do they stay engaged, there is a lasting connection that stays with them well after graduation," according to Jim Betres, veteran educator at Portsmouth High School. Betres suggests using graduation as leverage: instead of fighting against this shift in priorities, teachers can embrace these topics and connect them to course content. Practically, Betres notes: "If I create options and a variety of learning paths for students to explore, they take ownership over their learning. This is a gradual release of responsibility that takes time to effectively develop and implement in each class, but the payoff is worth it, particularly with graduating seniors!" Teachers are also excellent at setting the stage at the beginning of the year, clearly outlining learning and behavioral expectations. Betres recommends revisiting the academic and social contracts established early on and reinforcing those commitments as the calendar year changes. For example, from day one, he stresses the importance and finite nature of their time together, and their collective commitment to value that time. By repeating the same message as the year winds down and continuing to connect that message back to the students, teachers can keep the momentum of engagement going. The final step is to remember to have fun. While everyone is looking forward to the end of the year and whatever it holds, teachers and students alike are subject to an increasing amount of stress. A simple thing like incorporating movie clips into a lesson can be a great tool for maintaining engagement and reinforcing connections. "Movies serve such a vital cultural role in our society and create amazing learning opportunities for students to make deeper connections. Clips, viewed in conjunction with other resources afford another way for students to connect all the dots," Betres added. 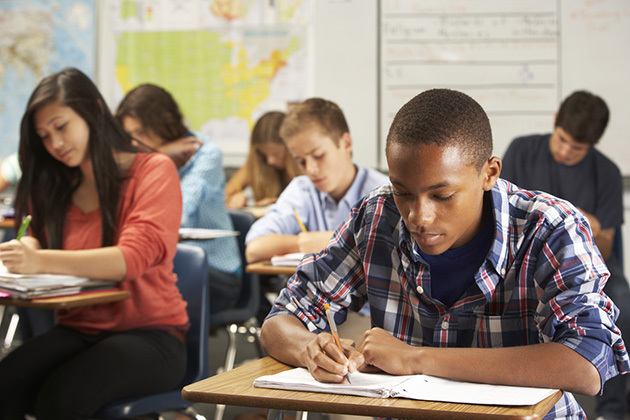 While most teachers have found ways to incorporate tenants of deeper learning like student voice and choice into lesson planning, approaches like connecting and reconnecting students to the world around them, reinforcing social contracts, and adding fun links to seemingly unrelated experiences (like movies) are critical tools when it comes to fighting senioritis. Betres emphasized: "When students have control over their learning, they are more engaged, make more powerful connections, and create better products that demonstrate their learning." This connection to their world and the world around them leads to success across all types of students. The bottom line is, while it may be challenging for teachers and students alike to stay focused from now until graduation, being realistic about the upcoming changes and finding fun ways to both incorporate them and reinforce the connectivity among life, lessons and classmates, teachers at all levels can keep students engaged.